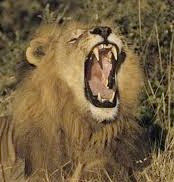 The greatest predator of today's job seeker is the roaring lion of discouragement. It slowly feeds on the carcass of non-existent feedback from potential employers. It soon becomes the king in a den of bitterness. No employer response. No call back. No indication of connection. No return email. No interview follow-up. 1. See a posted opening. 3. Wait for employer response. Soon, there is a decrease in motivation, focus, engagement and follow-through. The anxiety of being chased by failure is palpable. How exactly do you break free? The number #1 reason for discouragement is no reciprocal contact from a potential employer. Let me illustrate the point in this all too common scenario. Jane was down-sized and has been looking earnestly for employment over six months. She searches the yellow pages and finds a career counselor. In a moment of intense exasperation, defeat and self-doubt, she expresses her raw emotions. "I've never had to look for a job in my life! I put together a resume, applied for openings and have tried to get hired for over 100 openings. Not one single call from an employer! What is wrong with me?" It is depressing and humiliating to get laid off. Finding work is even worse." Jane represents a lot of today's unemployed workers. Many feel the bite of betrayal, deep anger and discouragement. They rhetorically ask, "How can you invest your life in a company for so long, do great work and still be let go?" There is no simple answer to this question. It is a consequece of an emerging economy that demands productivity and doesn't validate perpetual longevity. It demands knowledge and a short term relationship of high productivity. Job-seekers like Jane can send 1,000 resumes to employers and never hear a word. It isn't that they aren't hiring. 1. Jane's mode of job search is obsolete. 2. Jane needs to know the effective method and embrace it. 3. Jane needs to know somebody does have a need for her core competencies of a strong work ethic and organizational expertise. Yet, before Jane experiences job search success, she must first slay the lion of pessimism and discouragement with her bare hands of optimism and endurance. In the next post, I'll tell you how.